Santa Fe Los Angeles Division 3rd Dist. Install an End of Train device. Bill Messecar's 1950s era HO scale Santa Fe layout models the towns of San Bernardino, Riverside, Corona, and Placentia in Southern California. The 3rd District was the principal freight route for the ATSF, and travelled through citrus country into the Los Angeles freight yards. Every detail on the layout represents the actual operations of the Santa Fe during the early- to mid-1950s, including Bill's detailed scenery, structures, and operations of the layout. Many photos and video of the layout are included in this feature. Tour Michael Highsmith's freelanced HO layout, the Rainier Great Western Railway. The RGW was formed shortly after the demise of the Milwaukee Road. It operates in a western Washington State locale and serves the coal industry as well as hauling lumber, oil, and grain. The layout is quite large and operates on multiple levels. This feature includes a video of the layout in action, plus a few scenes of parts of the layout which are still under construction so that you can see Michael's process. 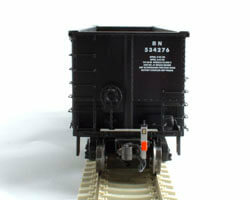 This simple project is suitable for anyone who models during the time of the caboose phase out or later. It is easy enough for newer modelers to accomplish and includes step-by-step instructions with photographs. It will work for anyone modeling a year since the railroad started using EOTs, which became common in the 1980s in the United States. 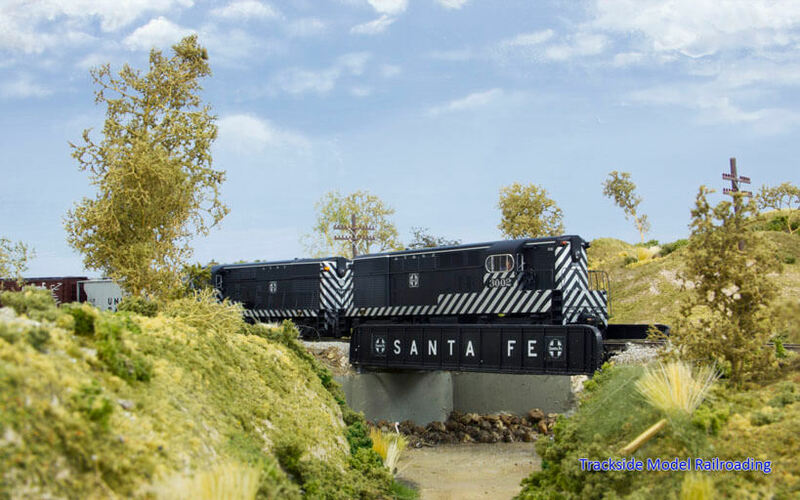 HO Scale Santa Fe Los Angeles Division 3rd Dist.